If you’ve ever wondered what it was like to travel to the Moon, or at a minimum build something for space travel, it might seem like a dream from out of this world. Fortunately for three companies from the NASA iTech Challenge, they will be teaming up with some of the finest scientific minds to help with space exploration and NASA’s mission to Mars. The NASA iTech Challenge invites companies from around the world, whether they’re in the aerospace industry or not, to bring ideas and innovations to them in the hopes of finding ways to improve space mission directorates including space travel and their mission to Mars. At the NASA iTech Forum, ten finalists from the NASA iTech Challenge Cycle 3* presented their products to a group of leaders from NASA, space industries, federal agencies, and investors, for the chance to elevate their companies to the next level. In the end, three companies in plasma technology, haptic communication and germ-fighting robots took home the win. If you hear the word plasma, you might think of large screen TVs where each pixel is illuminated by charged gas that creates a higher picture quality. Plasma technology can also be used to help jet engines run more efficiently and provide more control over the combustor. FGC Plasma Solutions developed a plug-and-play solution that introduces plasma through their fuel injector system into gas turbines and jet engines to save on fuel consumption and reduce emissions. The company said their innovation could reduce fuel consumption during idling between 1 to 5 percent. 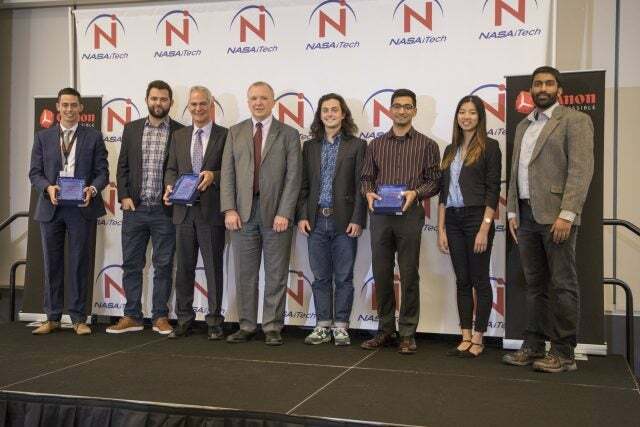 Felipe Gomez del Campo, founder and CEO of FGC Plasma Solutions, said the connections through NASA iTech Challenge could help them advance their technology to commercialization. He also offered two pieces of advice for startups pitching in front of a highly technical group. Within any aircraft, germs swirling around the cabin is a real concern for any passenger, pilot or crew member. GermFalcon developed a germ-fighting robot that uses only ultraviolet “C” light that instantly kills infectious germs, viruses, bacteria and superbugs on any surface. Dr. Arthur Kreitenberg, founder and Chief Technology Officer of GermFalcon, and orthopedic surgeon by trade, is very familiar with the critical importance of keeping germs out of an operating room. He started this project in his garage and with his team, and built a robot to improve the health environment for passengers and crews on airplanes. And now the company was recognized by the space industry. “Well I like to say that our project is not rocket science (pardon the pun). I think it’s nice to present to a technical audience that appreciates not just the health benefits, but the technology that goes into this and the long-term ramifications of this [innovation]. [It’s] an honor to do it,” Kreitenberg said. 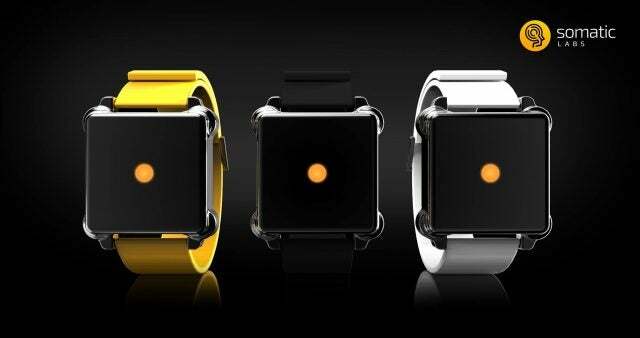 Every time you feel a vibration on your wrist from your smartwatch or a press on your smartphone, that is haptic technology in action. Somatic Labs develops hardware where people can receive information through haptic patterns of pulses on their skin. Their technology animates one’s sense of touch where haptic patterns communicate data to the user. Their wearable Moment turns movements of real-time data into pulses you feel on your skin-basically it turns your skin into a programmable display. Shantanu Bala, cofounder and CEO of Somatic labs, shared that initially applying to the iTech challenge was more of a go for it decision because they weren’t in the aerospace industry. If you don’t try, you’ll never know. 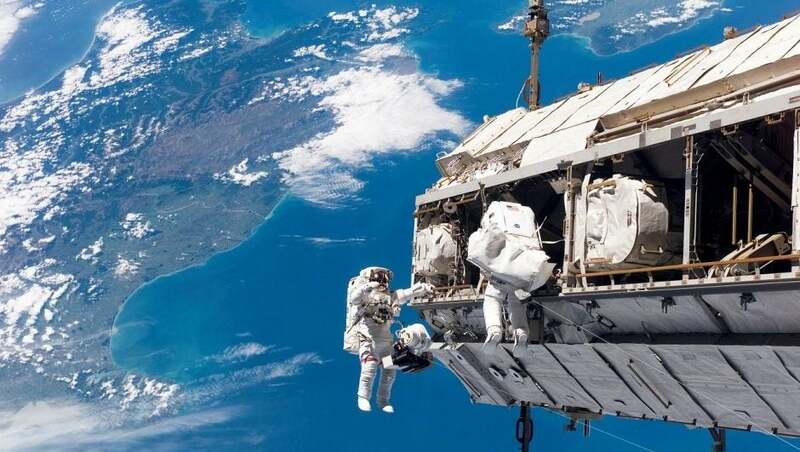 For Somatic Labs, their technology could be something useful in space. “It’s an exciting opportunity to get their feedback and input and basically tap into some of the smartest people in the world,” Bala said. Want to get noticed by NASA? Apply for the Startup of the Year Competition HERE. Coming soon, be on the lookout for next 2018 NASA iTech Cycle application openings.